Apparently there's some entrepreneur out there who is also a big fan of Minecraft, so to communicate with him, Avery and Eliot built a Minecraft version of their dad's offices. The offices come complete with a meeting room, kitchen, and custom textures! Sure, at first it reminded me of when every company was building virtual offices in Second Life. But between the kids showing off their build in the video and the cute, tongue-in-cheek press release the company released, I'm not worried about this being the next horrible fad. "The rate of innovation going on in Minecraft is stunning," noted BVP partner Jeff Epstein, who has moved to the new office, on a part-time basis for now. "With a large venture fund of iron and gold, BVP will play a key role in this phenomenal ecosystem." BVP credits ninth-grader Avery Cowan and sixth-grader Eliot Cowan for conceiving, designing and building a state-of-the-art facility with beautiful vistas, recreational areas, and plenty of office space for BVP professionals and visiting entrepreneurs. "They came in on time and on budget," beamed Ed Colloton, BVP's Chief Operating Officer. BVP has a successful track record funding technologies related to online gaming, such as Playdom, OMGPOP, Twitch, Top Free Games, and MindPirate. As part of this geographic expansion, BVP will supplement its investment strategy to include wooden windmills, fortress defenses, and pig farming. "For years our extensive security portfolio companies have been fighting cyber zombies and bots," noted BVP partner David Cowan. "But nowhere is there more demand for anti-zombie technology than in Minecraft." 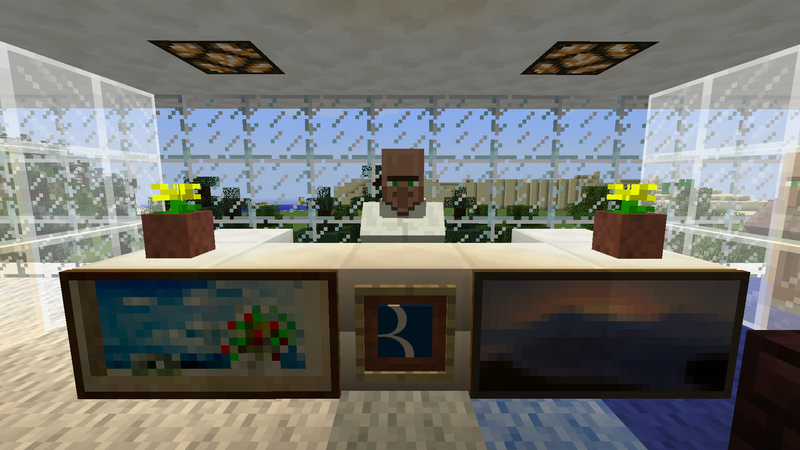 For Minecraft residents who wish to visit BVP, the firm will hold public office hours in January on Wednesdays at 1pm New York City time for 60 minutes, when a member of the firm's staff will be on hand to welcome visitors and answer questions. A representative from BVP told me that they're still determining how to use it, but they've already used it for some internal communication. I assume that means 'We played Minecraft', but I can't say for certain. You can jump in yourself and ask them questions every Wednesday in January, so check it out if you're curious.